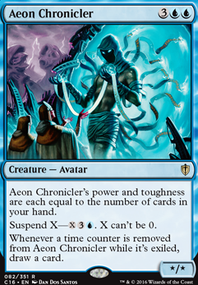 How Does Alhammarret's Archive React With Additional Draws at Draw Step? 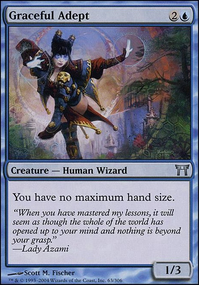 Can Arcanis make you draw 6 cards? Can you activate abilities of legendary creatures before you sacrifice them? doctorstrangedays on I Drink Your Milkshake! Hey harbingerofduh, thank you very much for commenting and the suggestions. I think this is my favorite deck so it deserves a fitting name, I love that movie lol. 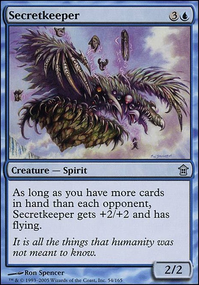 Sepulchral Primordial is a great card, I have him in my deck as well and just made the swap with Dissolve . 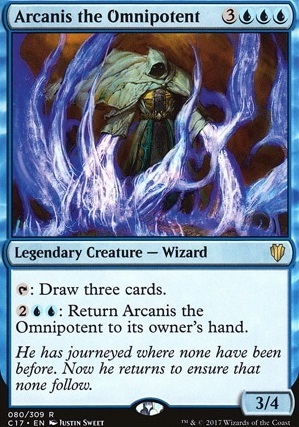 I am going to keep Arcanis the Omnipotent because I just put him in to playtest him. The deck definitely needs more card draw so I am going to try and take a closer look at what to cut for some more of that that. Psychic Strike is great and I will try it out. I love the new Thought Collapse as well. Thanks again, I appreciate it! I apologize, I was hasty in my assumption. In the case of improving/suggestions, I am guessing Niz-Mizzet is there for the damage and card draw? (Dumb question I know, just wanted to be sure.) I would suggest Sol Ring , Reliquary Tower first. It depends on your budget, but those are fairly affordable. Academy Elite , or Arcanis the Omnipotent maybe? What is your endgame, if you don't mind my asking? I would also suggest spreading your land base out over some more diverse lands, depending on your budget. harbingerofduh on I Drink Your Milkshake! Upvoted for the title. 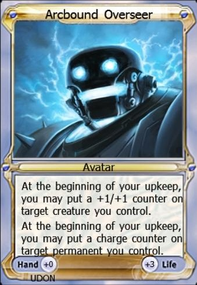 I'm kind of annoyed that I didn't think of it for my own Wrexial deck. I'd highly recommend Sepulchral Primordial (maybe taking out Arcanis the Omnipotent for it). 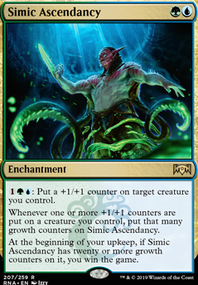 Besides synergizing well with your mill plan, Primordial is a great way to get back in the game when you're behind or to recover after a board wipe. 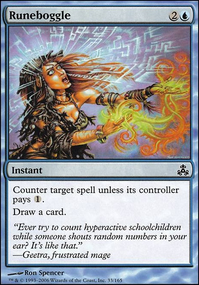 Psychic Strike is far superior to Disdainful Stroke - for one extra mana, you can counter anything and get some milling in to boot! I love zombies. Here’s some more budget friendly options for zombie tribal. 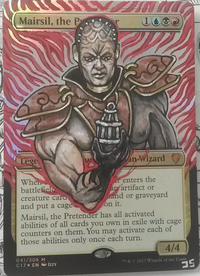 Diregraf Captain , Diregraf Colossus , Undead Warchief , Lord of the Accursed , Cryptbreaker (great for card draw), Death Baron , and Shepherd of Rot . As for graveyard interaction, your commander already does really good. So does Gravecrawler with any sacrifice outlet. Ashnod's Altar is great. You also have access to Buried Alive . Now for draw. The good ones are Rhystic Study and Phyrexian Arena . 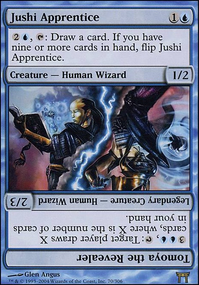 Other ones include Arcanis the Omnipotent , Cryptbreaker , Concentrate , Brainstorm and the other cantrips. Partenza a strappo con Sol Ring di mano e Thran Dynamo + Back to Basics subito dopo. Sfortunatamente non sono l'unico a partire bene e scende anche un Oath of Druids in casa draghi su cui non ho pronto un counter accessibile. 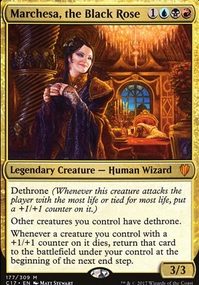 Breya gira di Oath Myr Battlesphere mentre io metto al cimitero una ventina di carte, prima di vedere una creatura... Ixidron che entra come 2/2. Finiscono al cimitero, tra le altre, Isochron Scepter , Dramatic Reversal , Rings of Brighthearth , Rhystic Study e Mana Drain . Sebbene praticamente al turno 3 potessi già ammucchiare, si va avanti e c'è stallo e fraseggio, finché ci mettiamo tutti a dar contro a Lord Windgrace che minaccia di sparare un Obliterate e chiudere. Tanti saluti, Gattoboy. Rientro in gioco con Arcanis the Omnipotent che mi fa pescare un macello, e con Metallurgic Summonings che mi rimanda in mano mezzo mazzo. Ma anche gli altri non scherzano e Oath non lascerà il gioco per tutta la partita, rendendomi la vita impossibile e garantendo un miliardo di instant e scartini in cimitero a Toshiro Umezawa , che mi prende di mira. Spariscono velocemente i draghetti dal tavolo e la mia mano rimane completamente vuota. Nessuno degli altri player tiene in considerazione il fatto che Breya ha tutorato un Ashnod's Altar e che il mio BtB è l'unica cosa che li tiene in vita perché mazzo artefattoso è totalmente inchiodato a lande. Concedo quando mi accorgo che tutte le mie combo sono al cimitero, che il mio comandante è fuori per la terza volta e che mi resta una sola creatura nel mazzo. E nello stesso turno Breya stappa e vince di combo, uccidendoli tutti come degli stronzi. Bravi, proprio ben giocata. 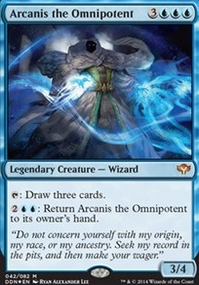 Arcanis the Omnipotent ! The repeatable draw 3 is very nice. 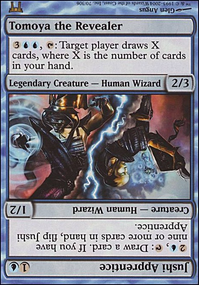 I will suggest only one expensive card: Doubling Cube . 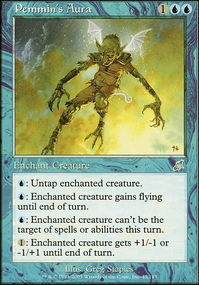 Untap effects go great with Kruphix. These include cards like Seedborn Muse , Victory Chimes , Quest for Renewal , and Murkfiend Liege . 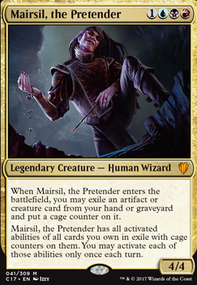 Prophet of Kruphix is banned in EDH (for good reason) so you can't have him. You said it's a ramp deck. You can never underestimate the power of mana dorks. Here's a few: Llanowar Elves , Elvish Mystic , Fyndhorn Elves , Arbor Elf , Birds of Paradise , Gyre Engineer , and Weaver of Currents . 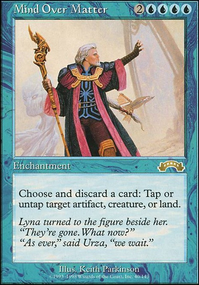 I also like Karametra's Acolyte and Nykthos, Shrine to Nyx . 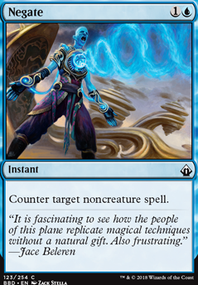 Having lots of creatures tap for mana synergizes well with cards like Quest for Renewal . There's also your artifact ramp. 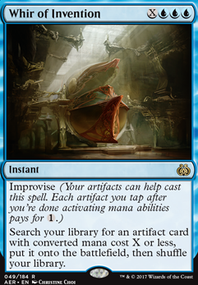 Thran Dynamo , Worn Powerstone , Sol Ring , Everflowing Chalice (please use this), Gilded Lotus , Dreamstone Hedron , Simic Signet , and Hedron Archive all tap for or more. 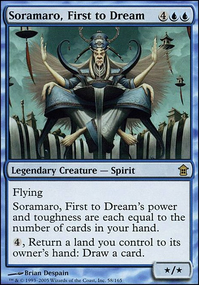 And randomly you have Frontier Siege which works well in the deck. So does Growing Rites of Itlimoc Flip. Speaking of lands, I like Mosswort Bridge . Mana sinks. 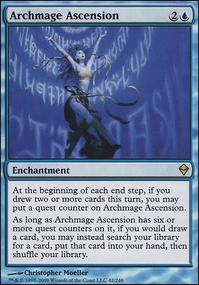 I would consider Planar Bridge , Genesis Wave , Omniscience , Archetype of Endurance , Endbringer , Avenger of Zendikar , Rite of Replication , and Arcanis the Omnipotent to name a few. 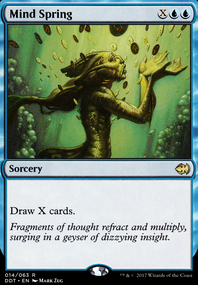 Draw X cards are great effects, with Stroke of Genius and Pull from Tomorrow involving the fewest symbols. I love ramp decks. I hope yours goes well.